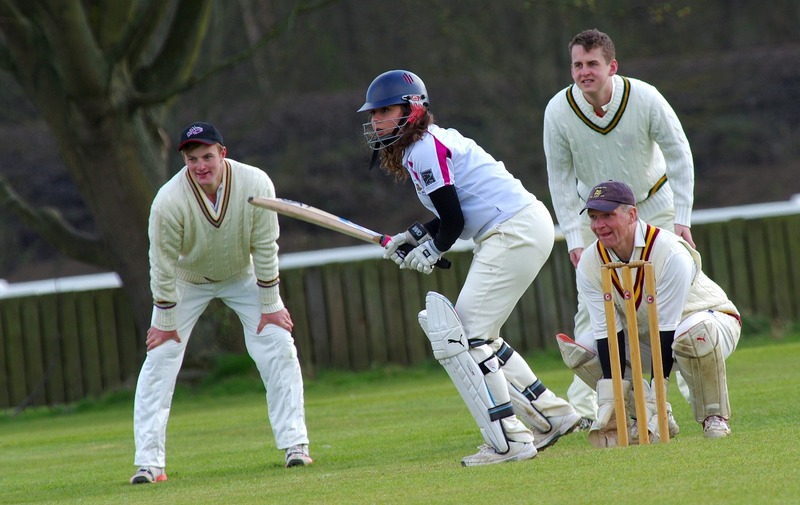 A game of cricket is a great way to bring together groups of people of all ages, who can enjoy themselves while keeping fit and active at the same time. It’s at this time of year that the summer weather brings with it some great chances to play. And for lovers of the game, nothing beats the site of a lush green cricket pitch gleaming tantalisingly in the summer sun. But with the British weather being so unpredictable, how can you be sure of the right conditions? After all, grass doesn’t take too kindly to heavy downpours. This is where an artificial cricket pitch for schools and clubs has its benefits and offers the kind of endurance against the elements that enables a longer season and potentially year-round play. The cricket pitch is the part of the field that is the most used. That means it’s the bit most likely to become worn or weather damaged, and this damage can make the bounce much more difficult to predict. With an artificial cricket pitch, you’ll be assured of a consistent surface for as long as you need it. So no more problems with rain damaging the pitch and making it uneven. This is one of the biggest reasons why more organisations are investing in artificial cricket surfaces for practice and match days to improve the chances of play, not to mention the standards of performance. The popularity of artificial surfaces is not only confined to cricket either. Take athletics, for example. An artificial running track can offer a longer lifespan and resistance to foul weather, making it a much better investment all round. Less money spent on water needed to keep the pitch fresh. Offers excellent bounce, swing and spin for bowlers, helping to enhance skill and technique. Longer lifespan means more uses before it needs replacing again. A safe and playable surface, no matter the weather. All our artificial cricket pitches are made of durable and hard-wearing Wilton weave fibre carpet, with a dense fibre shock pad to protect the dynamic base from damage. There are also needle punched & tufted carpets, for those with a tight budget. We have the hard porous based artificial cricket wickets too, which include a dense British made fibre shock pad that protects the dynamic base below. In the same way as our other artificial surfaces, these are also very low maintenance and are long lasting at the same time. At CJ Sports, we use the finest materials to ensure our products comply with ECB standards which give you a pitch to use in any conditions, all year round. We also offer the installation of artificial grass alongside the artificial cricket pitches. Contact us today to arrange your free site visit and report. This entry was posted in Cricket on 30th June 2018 by Chris Campbell.